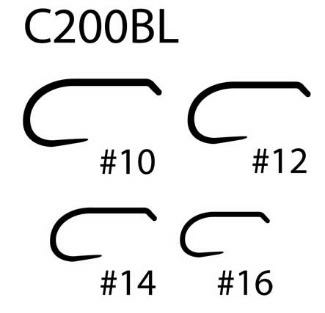 Description The C200BL are the same hooks that the European pro's use in competition. 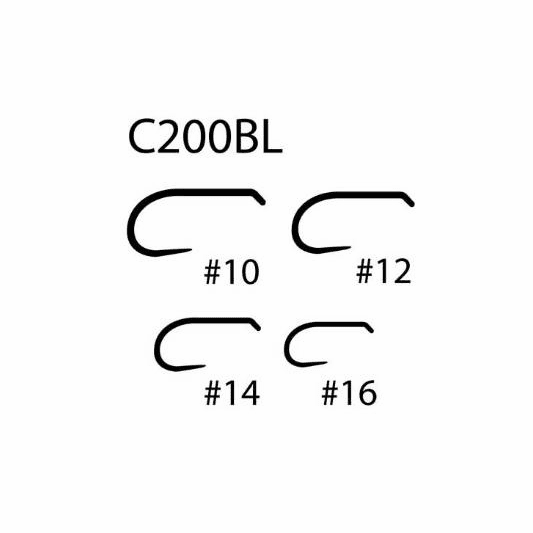 These hooks are perfect for tying heavy Czech Nymphs intended to fish in tandem or three-in-a-line. Made of Carbon Steel, with stealthy black-nickel finish, the C200BL has a super sharp, extra long point to help retain fish without using a barb. 25 per pack.